We have looked at all that and it is going to be a bigger Diamondxtra. Diamondxtra stays the way it is. Some of the concerns have been coming up with regards to customers who won prizes like ‘Salary for Life.’ We see some of those questions in the social media asking what happens to them. So, the message we want to go out there is that nothing changes. Those that have won, your prizes will still keep coming, the Diamondxtra remains Diamondxtra. In fact, we are not even changing the name. So as we merge, it is going to become a bigger bank, we are stronger together. So, the idea is to push out the product for all the customers. 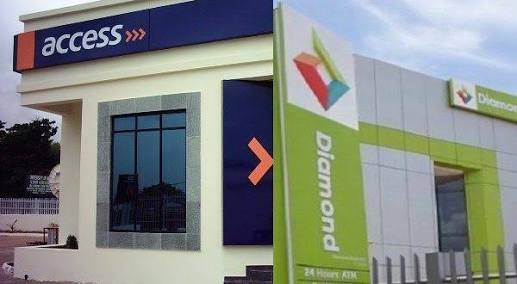 Just imagine Diamondxtra having more customers with all the customers in Access Bank also getting on board. It is going to be a much bigger reward scheme. In fact, it has been fantastic. I would say one of the reasons why we are bent on keeping Diamondxtra is that if you listen to testimonies of some winners we have had, it is actually so touching. For instance, if you were at the launch of season 10 where some of them gave testimonies of how their lives were touched and changed, you will find out that for a whole lot of people this has been a life changer for them. And for that reason, we want to continue with that experience. It is our way of connecting with the average Nigerian and we want to continue that. For instance, if you go to the website, you will see a video of a welder who won ‘Salary for Life’ and the young man never knew that he could win. And every month he gets his payment, he gets his N100,000 paid into his account and he is going to get that for 20 years. I think he has done for just 2 years now and his still has 18 years to go. In Season 10 we have actually had more winners than we had in Season 9. In fact, the total number of winners for season 10 was 4,957, and that was about five per cent more than what we had in Season 9. We made 130 millionaires, we gave out three new cars and we introduced a special prize category called education grant. And in that education allowance, the winner gets N100,000 every month for five years. Just imagine you are getting into school or your son or ward is getting into school, and for the next 5 years the individual gets N100,000 every month for five years. So it is a very wonderful reward scheme and we didn’t just throw out that reward, we engaged a whole lot of our customers and asked them, what are the additional things you will want to see in Diamondxtra. We included education and rent for a year. So, the individual who wins rent for a year gets N1 million immediately. So Season 10 was exciting. And I am sure you have seen some of the winners on social media and their comments and how excited they are. And we made sure that the reward goes round the country, so it is not just a Lagos affair, it covers Nigeria. If you are in the north you are going to be hearing our radio jingle talking about Diamondxtra, so it cuts across. We have adverts, we have people talking about it in hausa and different languages, so it is a Nigerian thing. Like I said earlier, for us it is a great thing to know that we are touching lives and also helping the Nigerian economy in terms of being able to encourage people to save. There are a lot of funds outside the financial system and being able to encourage people to take it away under their pillows and bring it into the bank, that is also a way of stabilising the Nigerian economy. So, for us as a bank we see it as a very significant way of connecting with our customers and also touching lives and of course rewarding our loyal customers. For instance, I get so excited when I see a customer who has banked for a number of years emerging a winner. So it is exciting and when you look at it you find out that such people never leave you, they stay with you because every day you are touching their lives. For regulators, the main thing is to ensure the rules are there, so you just follow the rules. You make sure you follow the rules and guidelines. For them usually what they try to find is that whether the process of selecting the winners is transparent. And then regarding to payment of the winners, whether it is being done in a transparent manner and make sure you are not leaving anybody out. So, for us we invite them for every draw that we do, we make sure that we don’t keep them in the dark, provide information, put as much as possible all the information on your website so they can access it. And then once you are transparent there are no issues. Again for our draws they are validated by KPMG, we don’t just run the draws, KPMG comes in first, they ensure that every customer who should be in the draw is selected and is put in the draw before the selection process, so they monitor everything. For instance, the way it runs is that every N5,000 in your account gives you access to one ticket. So if you have N10,000 it gives you two tickets into the draw. If you have N20,000 it gives you four, so they check that. So, the national lottery, KPMG, Consumer Protection Council, all of them make sure that things work and there has never being any problem for the 10 years we have run this campaign. We are looking at the prizes, Season 11 is in the works and it is coming out much bigger and better. You can trust me. We are going to invite you for the season 11 but we want to make sure that all the processes that we should go through before we launch the new season are all done properly and in line with regulatory requirement and then we launch. We are looking at February, so we are not trying to have any break; Season 10 ends January and then we launch Season 11 immediately.